The U.S.-China Education Foundation, Inc. (USCEF) was conceived in 1978 in response to “Normalization,” (U.S.-China Formal Agreement) and founded in 1979 by Dr. Joseph B. Kennedy, Sr., who later became its first president. The Foundation began as a result of the invitation from the Chinese Minister of Education to his daughter, Jojan, then a student at Duke University, to be the first American to study in a summer language program. Dr. Kennedy was also appointed by Dr. Terry Sanford, President of Duke University, as the representative to China for the University. With the program formally organized in the summer of 1980, in cooperation with American colleges and universities, Dr. Kennedy arranged for the first group of beginning language students to ever study in China. This breakthrough for the students, with no former experience in Chinese language study, was for a “total immersion” program. This experiment proved most successful, and was long part of the ongoing curriculum of the Ministry of Education of the People’s Republic of China. USCEF was chartered in Washington, D.C., as a non-profit organization in 1980 for the primary purpose of helping to send students from the United States to the People’s Republic of China to study putonghua (Mandarin), the official Chinese language, as well as the rich history and culture of the Chinese people. The experience offered a first-hand view of life as a student in China, and is possible only through an educational program. Further, the charter gave the mandate to assist students from the People’s Republic of China to come to the United States to learn our language and experience our culture, then return to assist their country in its goals. USCEF innovated programs in the areas of music, sports, martial arts, Mongolian and Cantonese languages, as well as established low-cost travel for students. Early, USCEF realized that the increasing cost of travel, combined with inflation and other factors, had placed this type of study and travel beyond the reach of average people. USCEF continued to work with the Ministry of Education to keep program costs as low as possible. A student willing to go on a “no frills” travel plan could experience China. Therefore, a program was developed offering a low cost flight and transportation with students traveling in China and attending a university in Canton for as little as $1,950. In fact, our program costs across the board decreased from 1979 to the 1980’s. For what was offered, it was the lowest cost and highest quality program then available for Americans. 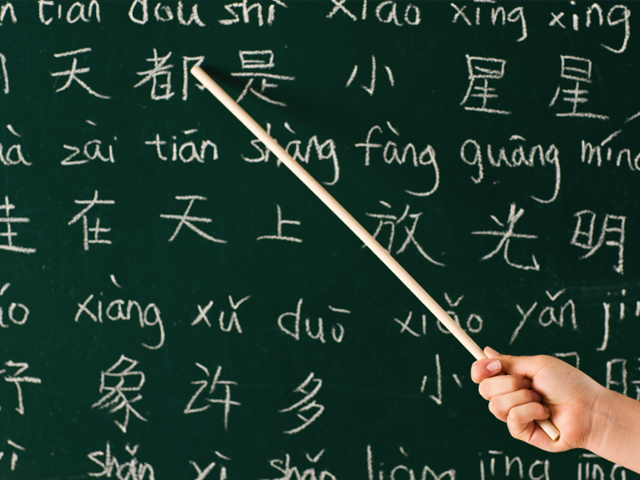 We believe that the best place to learn to speak Chinese is in China. Dr. Kennedy has said that the significant achievement of the short-term 4-6 weeks in the program was that our American students “learn that they can learn” what was once believed to be the most difficult of all languages. Many, with this introduction, returned to study Chinese in the U.S. and later returned to China for long-term studies from one to four years. One of our oldest students, Dr. Barnett, a retired professor from a New York university, went in 1979 and taught at Beijing University for several years. The USCEF program expanded to include people of all ages and interests, and history may yet prove it to be one of the most significant contributions to international understanding and world peace. Later the Foundation took on the role to direct and assist other organizations seeking advice from our experience and relationships in China. After founding USCEF in 1979, Dr. Kennedy was honored in 1980 when he was appointed “Special Assistant to the President and Consultant to Nanjing University” by Kuang Ya Ming, the legendary president of that university. He was the first American appointed to any position in China since the revolution. That same year, Dr. Kennedy served as a consultant to the Ministry of Health, and worked with the outstanding leader of their Foreign Affairs Office, Dr. Chun Keru. Dr. Kennedy has taken many special delegations to China to aid the development and growth of its economy. He has negotiated exchange programs and “sister” relationships between several U.S. and Chinese universities. He is deeply committed to the progress of language training in China and to ongoing cultural exchange.